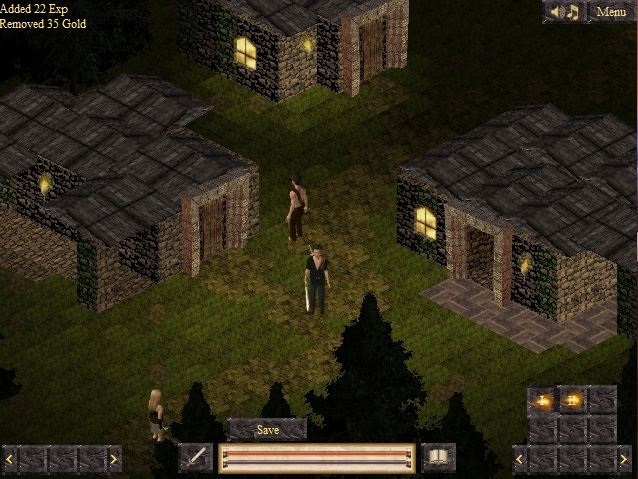 Darkness Springs is a is a single player online role playing game which can be played directly in the browser. No need to download endless installer packages, no need to install the game on your pc. You characters and your progress is stored on your local computer, in a Flash cookie, so you don't even have to create an account and log into the website. The game includes more than 100 maps, 30 magic spells, 8 trainable skills, 4 trainable attributes and more than 2000 items, including magic and unique ones. The player is free to explore the whole world on his own, and there are more than 40 quests to be solved.